Green tea has some absolutely remarkable properties: it has a swarm of antioxidants, it is good for preventing a huge number of diseases (including some cancers), it boosts the immune system and it also helps you lose weight. But now, researchers have found that it can also help regulate and slow down the evolution of already present cancer. Susanne M. Henning, PhD, RD, adjunct professor at the David Geffen School of Medicine at the University of California, Los Angeles presented her discoveries at the American Association for Cancer Research meeting on cancer prevention. ”We were able to show the green tea polyphenols (antioxidants) reached the prostate tissue and they did modify inflammation of the prostate,” she says. Polyphenols are antioxidants that protect against cell damage. Hanning’s team analyzed 79 men with prostate cancer to drink either six cups of brewed green tea or water daily – they were all scheduled for surgery, and had to drink these before the operation. 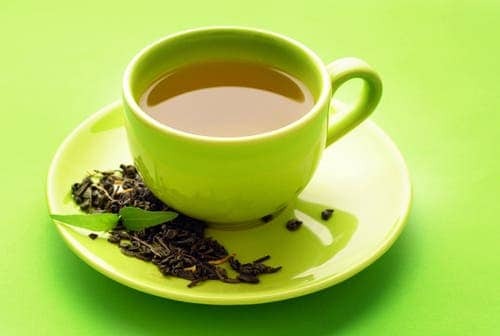 The bad thing is that only 67 men actually completed the study, but out of them, those who had drank green tea showed remarkably lower levels of PSA (prostate-specific antigen, a protein which may reflect the status of the prostate cancer). An indicator of inflammation and cancer growth, called nuclear factor-kappaB, was also reduced in those who drank green tea compared to those who didn’t. Still, it’s not all rosy. “We were not able to inhibit tumor growth,” she says. But the study length may not have been long enough to show that; a longer-term study is needed, she says. Prostate cancer is typically a slow developing cancer, so dietary measures to slow it down even more are often a way of action. If green tea indeed inhibits the growth of the cancer, and not just some related proteins, then it might be a true weapon in the cancer-fighting arsenal. But there’s still a long way to go.